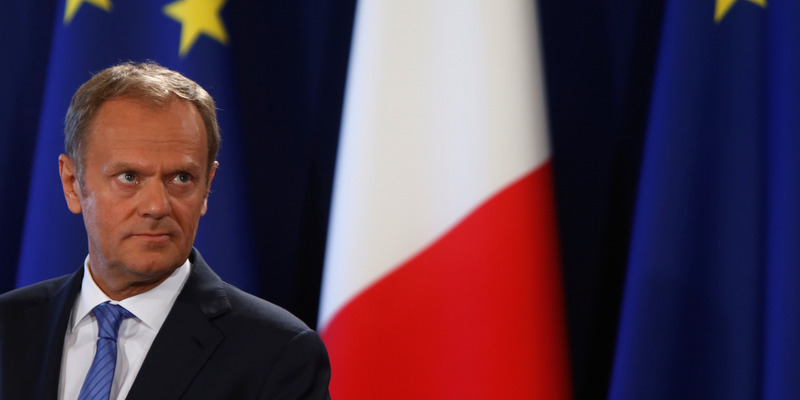 Donald Tusk says opponents of Brexit must not give up “dreams” of it being cancelled. “At this rather difficult moment in our history, we need dreamers and dreams. We cannot give in to fatalism,” the European Council President told MEPs in Strasbourg on Tuesday morning. He urged EU politicians not to lose patience with the Brexit process. Tusk addressed MEPs after EU leaders last week agreed to delay Brexit until October 31. LONDON — European Council President Donald Tusk has urged opponents of Brexit not to give up hope of the United Kingdom cancelling its departure from the European Union. Speaking to Members of European Parliament on Tuesday morning, Tusk said that those who do not want Brexit “cannot give in to fatalism” and that the EU needs “dreamers” who want to stop it. “During the European Council one of the leaders warned us not to be dreamers, and that we shouldn’t think that Brexit could be reversed,” Tusk told MEPs in Strasbourg. “I didn’t respond at the time, but today, in front of you, I would like to say: at this rather difficult moment in our history, we need dreamers and dreams. We cannot give in to fatalism. Tusk addressed MEPs following last week’s European Council summit where EU leaders agreed to delay Brexit until October 31. He told MPs this morning that the six month delay was beneficial because it averts an imminent no-deal Brexit and gives the UK time to figure out how it intends to break the current impasse in Westminster. The European Council president stressed that the Withdrawal Agreement will not be renegotiated during this time, but that Brussels was ready to change the Political Declaration in order to facilitate a softer Brexit. “I know that, on both sides of the Channel, everyone, including myself, is exhausted with Brexit, which is completely understandable. “However, this is not an excuse to say: ‘let’s get it over with,’ just because we’re tired. Copyright © 2019 Usa new news.